High school students at Nardin Academy in Buffalo are exploring career options all this week in a program called WinterMission. WBFO's senior reporter Eileen Buckley caught up with a group ready to learn about the medical field at Oishei Children's Hospital. WBFO's senior reporter Eileen Buckley caught up with a group ready to learn about the medical field at Oishei Children's Hospital. 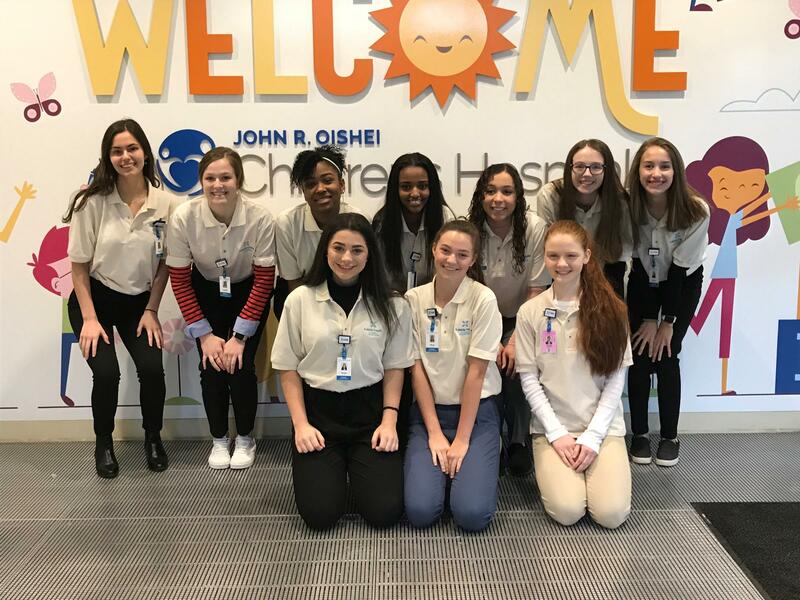 Nardin Academy High School students are exploring the medical field at Oishei Children's Hospital in Buffalo. Several Nardin students are interning this week in various department's at Children's. “It's more of the aspect of interacting with people,” remarked Malonya Laws, Nardin junior. Laws will be exploring respiratory therapy. She wants to be a doctor and is eager to learn about other health care specialties at the hospital. “From what I thought until I got here is totally different,” Laws noted. “What are you expecting to experience and see?” asked Buckley. “Experience what it is like actually in the eyes of people in the healthcare field and how they think and how they interact with other people in the same field,” Laws responded. “I think I will walk away with more of a broader knowledge, better understanding on being a doctor, because you can easily say I want to be a doctor, but you really don’t know what it entails,” stated Olivia Jerge, senior. Jerge is interning in Med Surgery. She is interesting in becoming a pediatric surgeon and has been watching how the hospital handles children in long term care unit. “It definitely puts life in perspective and you definitely notice a lot about how fortunate you are and that you have good health – like you might say ‘oh I’m really down today’, but then there’s kids that can barely even talk,” Jerge replied. The school has phased out Regents. Principal Adrienne Forgette said with students are no longer tied to testing in January, WinterMission allows for a full week of exploring the real world. 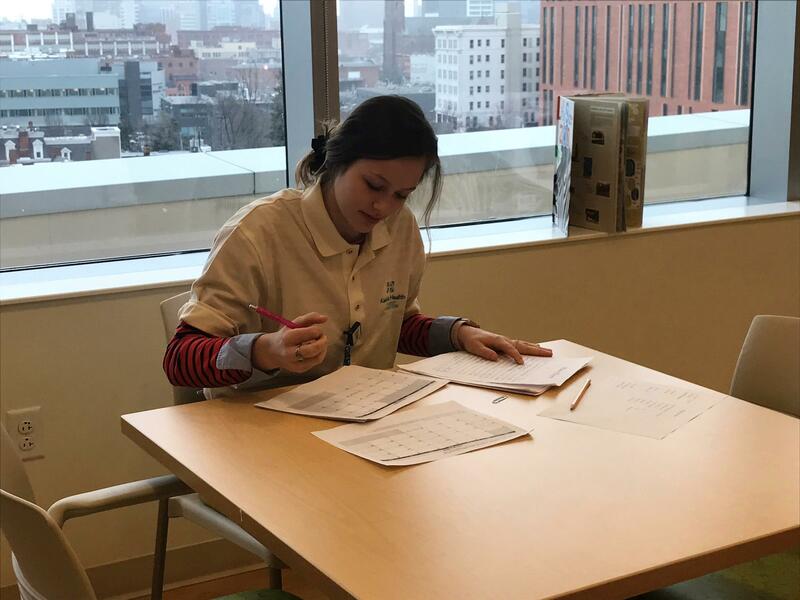 Nardin student interning at Children's Hospital. “They’re in an innovation era where jobs that they are going to have aren’t’ even created yet and so we need to teach our girls to be able to know what to do and they don’t know what to do, and to be able to have these experiences – actually live them versus just read about them in a book or take a multiple choice test question,” Foregette responded. “And they’re really shadowing, so they’re provided more than just a volunteer opportunity. It’s really shadowing and learning about the profession, so an opportunity for them to learn,” remarked Mckenzie Mattison, manager of Volunteer and Family Services at Children's. This program gives students a chance to see the medical profession first hand. “They’re going to be placed in various areas of the hospital, so we have labor and delivery, we have respiratory therapy, physical therapy, our child life department, our foundation,” Mattison noted. “This is like an amazing opportunity because I can figure out if I can handle it and it’s good to be exposed to all of this,” commented Izzy Friedman, senior. Friedman is shadowing in the Child Life department. She’s interested in becoming a pediatrician. “On the second floor, and that is when she talks to kids before they go into surgery to kind of ease the fear. For the past few days, I’ve seen some sad things, but it’s okay. I thought I would get more emotional than I have, but from where I am right now, it’s a good thing I haven’t,” Friedman explained. Sophia Turecki is also a senior and working to gain a better knowledge in Radiology. She's interested in a future STEM related career. Entire group of Nardin students interning at hospital. “Kind of just gives me a look of what it’s truly like working in a hospital, working with patients, working with other staff members,” said Turecki. Nardin students are interning locally at The Department of Homeland Security, U.S. District Court and TSA. Others are conducting ‘hands-on’ learning at Journey's End, City Mission, Cornerstone Manor and St. Vincent de Paul. But they are also spread out nationally, some in Washington, D.C. and even internationally - in Italy and Costa Rica. A private, all-girls Catholic high school in Buffalo will be dropping State Regents testing. WBFO's Senior Reporter Eileen Buckley says Nardin Academy is ready to phase out Regents exams over the next couple of years. WBFO's Eileen Buckley says Nardin Academy will phase out Regents testing at the high school.